Chinese philosopher Lao-Tzu said: ….. Teach a man to fish, and you feed him for a lifetime. This is true even when creating a lesson plan for elementary school. Teach the pupil something useful for his life time. An outstanding planner makes a great teacher. The mental picture of the class room can vary with individual teachers perceptive. A concept called reverse engineering is being practiced by engineers for ages. They visualise the end product, and work back to achieve that to the beginning. Similarly a lesson planner should conceptualise what mental picture the student should have at the end of the lesson. So backward planning gains momentum. Try not to complicate the lesson planning template but make it simple, which will hit the target straight. A teacher should devise the shortest path to strike the target in his lesson plan sample. It is advisable to check how much the planned lessons have driven into the pupil by asking few questions. Take extra care in assessing the age group. The younger they are time you have to spend would be more. Be systematic in organising the teaching aids. Also make the material available to students well before the activity session with specific instructions. Bearing in mind for which age group and class along with duration, tasks, and keywords, ultimate aim would create the lesson plan for elementary school a cut above the rest. A proper introduction followed by step by step instruction,assessment,and assessment sand overall a piece of encouragement would go a long way in executing your game plan. While choosing a lesson style, make sure that fits into yours as there is no point in insisting the pupil to enjoy, what you do not. 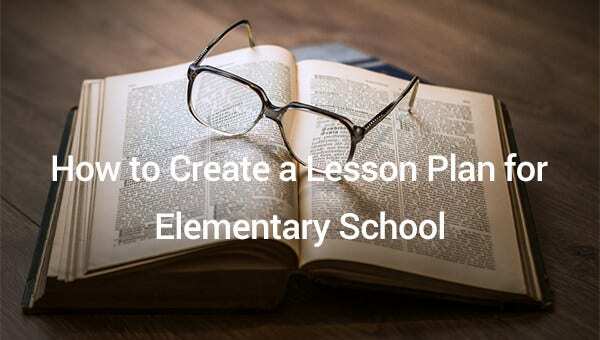 In short use your discretion in creating a lesson plan for elementary school is critical. Like persistence of vision, by which we see and retain images, there is a persistence of memory. To cultivate this persistence of memory concept, a person creating lesson plans for elementary school try out short lessons, varying degree of repetitions, and spreading the lessons over a period of time. This in turn indirectly imparts an idea of the next lessons. Systematic everyday planning makes the lessons not only interesting but also lasting. Careful objectives and goals need be jotted down not only in your book but also on top of every lesson visible to the student either on black board, smart board or tablet. 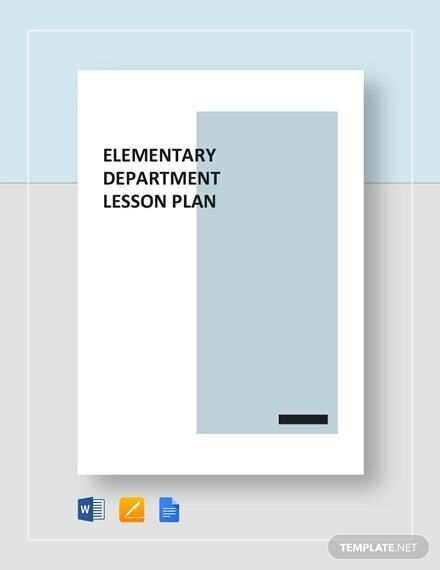 The structure of lesson plan will vary with the age, grasping power and attention span of the students. In other words the lesson plan will not be same for elementary, high school. Time line planning of lessons depending on the stage of students is of utmost importance. A good lesson planmay shatter if the teacher does not know the targeted section well. A short test or not so taxing home work will guage the effectiveness of your lesson plan. Even the way in which the students are seated in a class room affects the penetration level and mental agility. And a good introduction, may be an anecdote is of no harm . Activity planning – to get the pupil to the alert mode of learning- is as important as the lesson planning. Same as the variations of age group are critical, so are the subjects being taught in the lesson plans. And the methods used also do vary; some pupils would be happy with words, others with visuals; some with bare facts whereas others the narratives. A simple barometer of your lesson plan would be to ask questions during the class or at the end. And irrespective of how well you have planned the lessons , your mood is going to influence the students – casual, serious, attentive, interesting etc. And be ready to change your game plan at the shortest hint from your students. A lesson plan should not be confused with a worksheet, group activity or a slide. A lesson plan in its simplest form will consists of Title, Time frame, Activity materials, Introduction, Expansion and Conclusion and of course lot of Patience. Almost like a good script or well-oiled machinery. A well-developed lesson plan invariably reflects the outlook and confidence level of the teacher. And a self-analysis after the class is equally important to assess the goal and target achieved. In short this analysis will tell the teacher how well he has learned while executing his lesson plan. The quantum of analytic thinking injected into the lesson plan will be directly proportional to the penetration level of lesson even to the ‘not so bright student’. 20+ Illustrator Tutorials For Creating Isometric Illustrations!